It’s that time of year again – winter. Not only has the temperature dropped, but snow has also dropped as well. Now that snow is on the ground and the holiday season is in the air, you might be curious about how your vehicle will handle this colder weather. Whether you are driving to the mall for holiday shopping or just visiting a loved one, it is important to prepare your vehicle for the cold. Below are a few steps you can take to winterize your vehicle. Because cold weather causes a decrease of air pressure inside of your tires, you should always make sure your tires are adequately inflated at all time, especially in the winter. 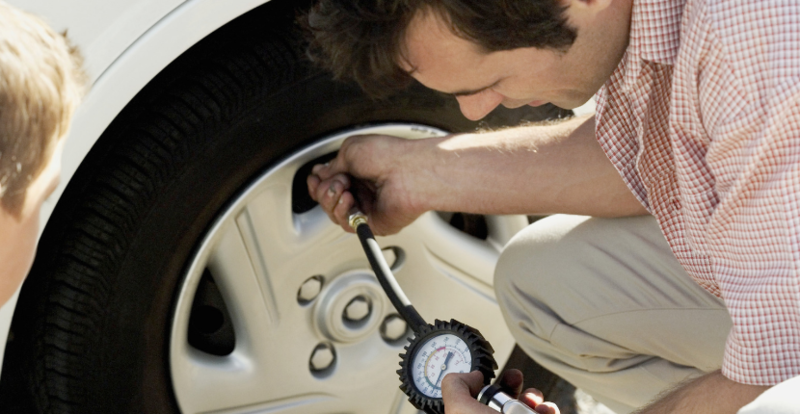 If you are new to checking the air pressure in your tires, don’t worry. Understanding that every time the weather drops 10 degrees, your tire pressure drops about 1psi also. With this in mind, your tires will be ready to tackle the snowy roads. The battery in your vehicle is essential for its main function – driving. Not only do batteries become slow in the winter, but they also require more currents to start the engine. Because batteries become less powerful, as well as require more power in cold weather, it is essential that you check the battery in your vehicle. Checking your battery will ensure that your vehicle will start every cold winter morning. Emergencies happen when you least expect them to, so why wouldn’t you want to be prepared for whatever life throws your way? One way to be prepared is to create an emergency kit and keep it in your vehicle at all times. You can find numerous lists of essential items to include in your kit, or tailor your emergency kit to your family’s needs. Either way, this kit will come in handy when an emergency arises. Click here for more information about winterizing your vehicle, or stop by your Palm Springs Nissan dealer to view the latest Nissan models or schedule a service appointment. Palm Springs Nissan Presents: Eddie “Piolin” Sotelo. This Saturday, November 17th, the host of the radio show “El Show De Piolin” will be chatting with fans from 12pm to 2pm. Dancing, music, and fun will be had at this awesome event! Eddie has been the voice behind characters in popular movies such as Beverly Hills Chihuahua, Ice Age: Continental Draft, and The Muppets. Eddie was born in Ocalan, Jalisco and came to the United States at age 16. In 2003, he started his first radio show host role. His morning show was strictly Spanish for Spanish speaking audiences and nationally syndicated to many different markets. Sotelo was ranked one of the most powerful people in Southern California by the LA Times in 2006. In 2013, Eddie was inducted into the Radio Hall of Fame and started his own SiriusXM channel, “Piolin” Radio. Now, El Show de Piolin is on 40 radio stations nationwide. 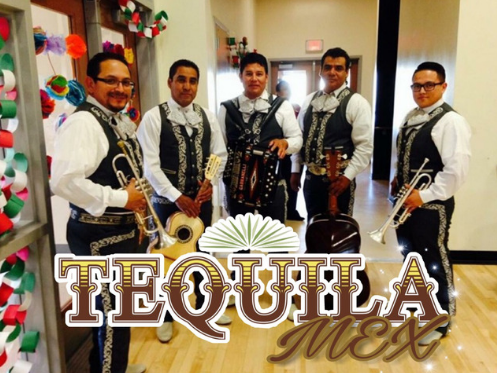 Come on down to have a chance to talk and connect with an amazing talk show host and also to enjoy and dance to some great music from the Tequila Mex on Saturday November 17th 12-2pm at your Cathedral City Nissan dealer, Palm Springs Nissan. Palm Springs Nissan presenta: Eddie “Piolin” Sotelo. Este sábado, 17 de noviembre, el presentador del programa de radio “El Show De Piolin” estará conversando con los fanáticos de 12 a 2 p.m. Día de música, baile y diversión en este increíble evento. Eddie ha sido la voz detrás de personajes de películas populares como Beverly Hills Chihuahua, Ice Age: Continental Draft y The Muppets. Eddie nació en Ocalan, Jalisco y llegó a los Estados Unidos a los 16 años. En 2003, se inició como presentador de radio. Su programa matutino era estrictamente en español para audiencias de habla hispana y sindicado a nivel nacional en muchos mercados diferentes. Sotelo fue clasificado como una de las personas más poderosas en el sur de California por el LA Times en 2006. En 2013, Eddie ingresó al Salón de la fama de la radio y comenzó su propio canal SiriusXM, “Piolin” Radio. Ahora, El Show de Piolin está en 40 estaciones de radio en todo el país. 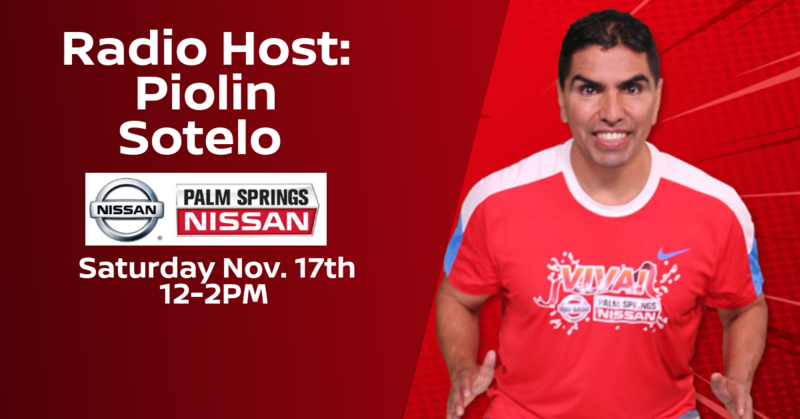 Venga y disfrute de la oportunidad de hablar y conectar con un asombroso presentador de programas de entrevistas el sábado 17 de noviembre de 12 a 2 pm en su concesionario de Cathedral City Nissan, Palm Springs Nissan. 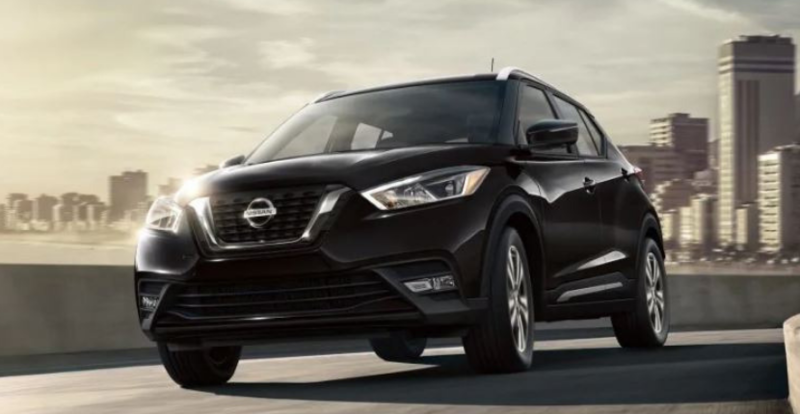 A subcompact SUV may be a smaller vehicle than you are thinking about getting, but a vehicle like the Nissan Kicks has a lot of great things going for it, so read on to learn more. SUVs are popular because they offer you a good amount of passenger space and cargo space, and the Nissan Kicks is no different. The Nissan Kicks has seating for up to five, and there is plenty of room for children and adults in the second row of seating. This vehicle also gives you a good amount of cargo space for its size. You can get 25.3 cubic feet of cargo space behind the second row of seating and 53.1 cubic feet of space with the second row folded down. As for fuel efficiency and performance, the Nissan Kicks does well. This vehicle is home to a 1.6-liter four-cylinder engine that produces 125-horsepower and 115 pound-feet of torque. This vehicle gives you 31 city miles per gallon and 36 highway miles per gallon in terms of fuel efficiency. What else does the Nissan Kicks have going for it? This vehicle offers you a lot of great features standard. In the 2018 Nissan Kicks, you can get standard features like Bluetooth, two USB ports, a rearview camera, a 7-inch infotainment system, automatic emergency braking, and forward collision alert. That is a lot of great features for a vehicle that starts out at a price less than $18,000. The Nissan Kicks is a vehicle with a lot of great things going for it. If you would like to check out the 2018 Nissan Kicks for yourself, you should come down to Palm Springs Nissan. Palm Springs Nissan is a Nissan dealer near you, and we are ready to help you upgrade. With all vehicles that have high mileage on them, the dreaded lights on the dashboard appear. If lucky, with Nissan models you’ll go a long time without seeing these warning lights pop on. When the time comes and they do go on, here is what the lights mean below. You might wonder why warning signal lights appear in different colors. Each color light serves a purpose. Common lights like turn signals, cruise control, and headlights are blue, white, or green (depending on model year). Those indicate that a common feature is turned on. Lights with the color yellow on typically represent something malfunctioning in your vehicle. Just because they go on might not mean that it is dangerous for you to drive, it just shows you that something or some component of your vehicle needs to be fixed such as a low tire pressure. So what lights might need immediate attention? 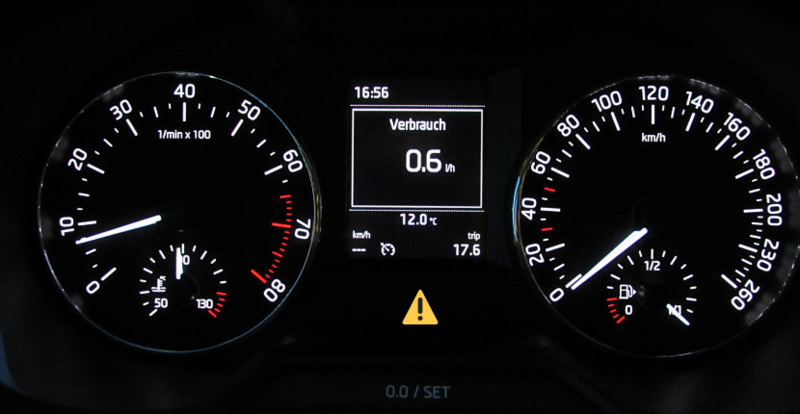 Lights such as ABS, anti-lock braking system, is a warning light that you want to get resolved right away. Another one is a brake warning light or a charge light. Brakes and the battery are two very important parts of your vehicle you need to maintain. Some vehicles when mileage gets high will have the malfunction indicator light meaning something might not be quite right with your engine. It is important to address these higher- level of concern lights when they go on to prevent things from occurring again. You can look up what any lights mean on your dashboard by using your vehicle manual book inside of your Nissan. If you are unsure of anything your vehicle needs work on you can stop into the Cathedral City Nissan dealer and have a staff member take a look. Looking to trade in your old vehicle for a new Nissan model for sale? Stop in and see your Nissan dealer nearby and browse a large selection of new and pre-owned models. Don’t forget to stop in and schedule a service appointment if you are worried about the lights on your dashboard. Palm Springs Nissan Presents: MMA Legend Tito Ortiz! Tito will be at Palm Springs Nissan on Saturday November 3rd from 1-3pm. He’ll be taking pictures and signing autographs, make sure not to miss it! Are you a fan of MMA? The man, the legend, Tito Ortiz will be at Palm Springs Nissan Saturday, November 3rd from 1-3pm! Tito Ortiz is an American mixed martial artist. He is known for his work with the UFC where he was the former light heavyweight champion, having held the title for three years! Tito is the CEO of the Punishment Athletics MMA equipment and clothing line. He also owns a training gym called Punishment Training Center which is in Huntington Beach, California. In 2012, he became the ninth inductee into the UFC Hall of Fame. Make sure to stop by to shake hands and talk with a legend on Saturday, November 3rd from 1-3pm at your Cathedral City Nissan dealer, Palm Springs Nissan. Do you ever dread walking out into the cold to start your vehicle? Or maybe you don’t want to step into the sweltering heat of your car’s cabin on a summer day? With Remote Engine Start, you can get your vehicle up and running before going outside. This gives you comfort and convenience every day. Learn more about Nissan’s remote engine start below. Does your Nissan Vehicle have a remote start feature? If your key fob has a circular arrow button, then you have the remote start feature. To activate this feature, you simply press your lock button, then press and hold your circular arrow button for two seconds. That will start your engine remotely. Another way to remotely start your vehicle is through your NissanConnect Services app or Owners Portal. Before you leave home or work, you can always login to your app or owners’ portal and start your vehicle. Your remote start will run for 10 minutes after you start it. If you haven’t gotten in your vehicle after 10 minutes, your engine will shut itself down. Remote Engine Start is one of the many great technology features that Nissan Offers. Nissan also offers Technology like the ProPilot Assist. ProPilot Assist is a small step toward autonomous vehicles. This technology helps guide you and keep you in the correct lane while you are driving. Some newer Nissan models offer you Zero Gravity Front Seats. These seats have been developed to offer you a more comfortable driving experience. Nissan also offers a NissanConnect system, customizable screen displays, and a whole lot more! There is a lot of great technology including remote engine start in Nissan vehicles. If you want to upgrade to a new Nissan to get all of the great technology that Nissan offers you- especially remote engine start, you can come down to your Palm Springs Nissan dealer. We are Palm Springs Nissan, and we are happy to provide you with 2019 Nissan models with the latest and greatest technology. Visit Palm Springs Nissan, to upgrade today. Our service department is full of friendly faces and helping hands who are ready to help with any needs or answer any questions you may have! Do you have any plans on Saturday October 27th? Do you enjoy playing games and eating snacks?! Are you a Mario Lopez fan?! If you answered yes to any or all of these questions you should head over to Palm Springs Nissan this weekend for a day of fun with Mario Lopez! 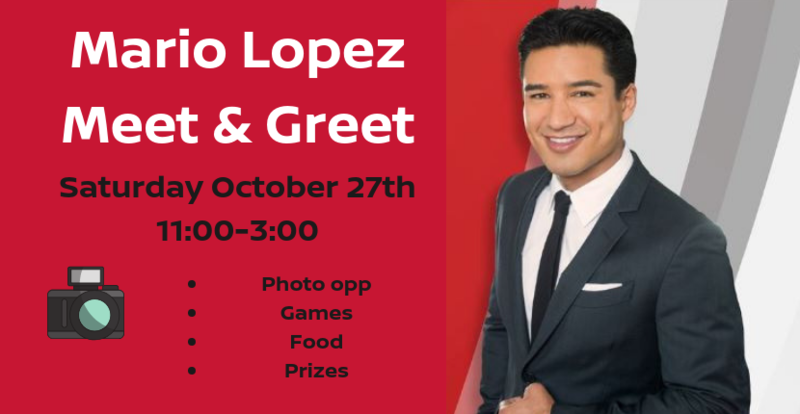 The meet & greet with Mario Lopez will begin at 11:00am and will go until 3:00pm. You will also have your opportunity to take an awesome picture with Mario from 1:00-2:00! There will be plenty of fun games to play, tons of good food to eat, and great prizes to be won! The possible prizes to be won are 6 bikes, 3 IPads, oil changes and car detailing! All donations and proceeds benefit The Boys and Girls Club of Cathedral City. Come visit and donate to a good cause! The Palm Springs Nissan team and Mario look forward to seeing you all there this weekend! Every year, automakers add more technology to vehicles. They add technology for safety, comfort, convenience, and fun. The Nissan Rogue has a lot of great tech features for you. Check out some of the coolest features offered below. Zero Gravity Front Seats – If you are looking for some great comfort in your driving experience, you will be happy with the Nissan Rogue’s Zero Gravity Front Seats. These seats have fourteen different pressure points to keep you in a more comfortable position. These pressure points are placed strategically to give you the support your body needs when you are on the road. Customizable Screen Displays – In the Nissan Rogue, you have customizable screens to display the things you are looking for. For example, you can have your music display on the large center screen, which leaves room for your turn-by-turn directions behind the steering wheel. You also have a rear camera to show you where you are when you are backing up. Climate Control System – The Climate Control System in the Nissan Rogue is a great one. 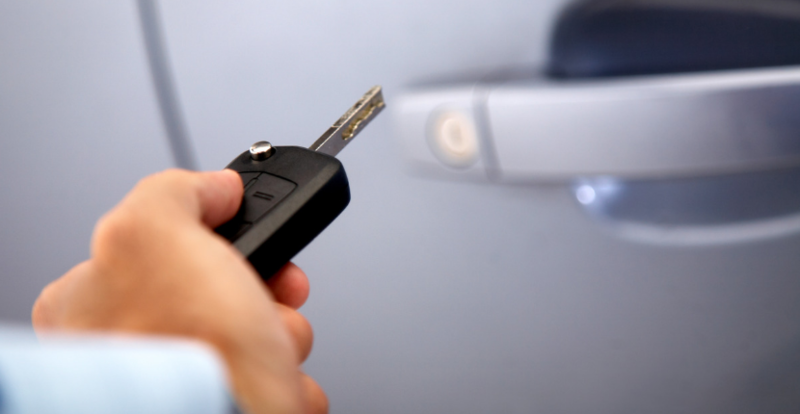 Your keyfob can remotely start the engine in your Nissan Rogue, but it also turns on the Climate Control System. On cold days, this system will turn on your defrosters and your heated steering wheel. On hot days, the air conditioning is turned on. This is a tech-savvy feature to keep you comfortable. NissanConnect – NissanConnect is another great tech-savvy feature in the Nissan Rogue. NissanConnect is an infotainment system that supports Apple CarPlay, Android Auto, and more. You can listen to music, access social media, send a hands-free text message, and more with the NissanConnect system. This system also includes emergency services and maintenance alerts to keep you on top of everything. If you are looking to upgrade to a vehicle like the Nissan Rogue, you can come down to Palm Springs Nissan. We are your Nissan dealer in Palm Springs, and we have a wide selection of new and used vehicles. You can get 2019 Nissan models as well. Palm Springs Nissan is a Nissan dealer near you, so stop by to take a look at our selection. We look forward to helping you upgrade. Let us be the first to tell you, Nissan fans all across the United States are loving the 2019 Altima! The 2018 model was a very good car, but this model year makes it even better. 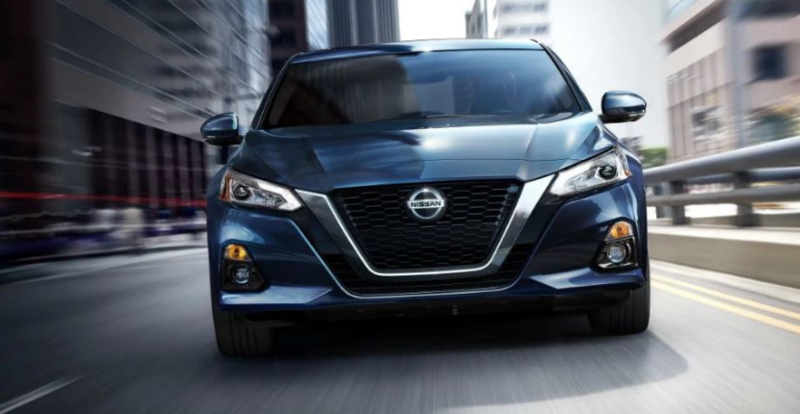 If you don’t have one yourself, find out why fans are going crazy over the all new Altima here at Palm Springs Nissan. With many new features and a stylish slick look, it may come to you as no surprise. With the new technology added to the 2019 Nissan model, this midsize sedan dominates over its competitors like the Toyota Camry and Honda Accord. So what has been added you ask? Optional all-wheel-drive, variable-compression engine that will adjust for high mpg or performance driving, many driver and safety assistance, Pro Pilot Assist, and a two level semi-autonomous driver assist system built in. Nissan says that the Altima is the “most extensive platform changes in over two decades long,” and there is no doubt about that. The most impressive change that fans are loving is the premium 248-hp, 2.5-liter turbo engine that comes with variable compression. This engine gives off max fuel economy and a low compression for max power. Another thing fans are raving about from the best of the 2019 Nissan models is the all-wheel-drive. This model offers the front-drive on the simpler engine, but the AWD that comes with the signature engine is a key selling point to consumers when looking for a midsize sedan. It has the ability for 26 mpg in the city, 36 mpg on highway, and 30 mpg combined. Base safety features come included across all trim lines with emergency braking, a rear door alert that will hold shut if you open while traffic approaches in the street, and a driver-alert monitor that is called the Intelligent Driver Alert. The rear camera is also a required feature on all new cars. More features come stacked in the 2019 Altima SV like semi-autonomous driving, ProPilot Assist, and a Nissan Safety Shield 360. Looking to get your hands on the new 2019 Nissan Altima? Stop on in at Palm Springs Nissan today and find amazing deals on new Nissan Models all month long! Just search “Nissan dealer near me” or give us a call at (760)328-2800. We are proud to be your official Nissan Dealer in Palm Springs. This just in: the Nissan Frontier has done it again, creating a great pickup truck for the 15th model year lasting longer than most of its competitors! Even better, the Frontier just keeps getting refreshed every new model year. So, what’s new for the 2019 Frontier? Check it out here from your Nissan dealer at Palm Springs Nissan. The Nissan Frontier has been around the market for a decade, and it comes to no surprise that another new model is on the rise. The 2019 price was just announced starting at $18,990 (remaining the same as the 2018). It is no wonder why the Frontier remains the most affordable pickup truck. But don’t you all worry, same price, but defiantly not the same truck as the 2018 Frontier model. The 2019 Frontier comes stacked with a seven-inch colored touchscreen standard for SV and S trims. 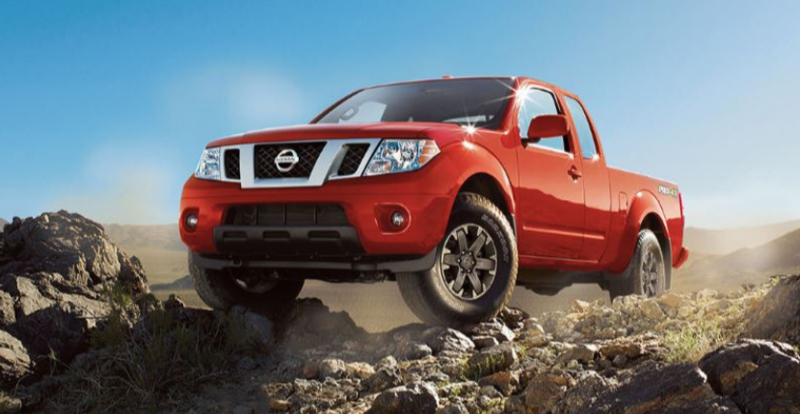 New truck, new options and the Frontier has the option to be sold in King and Crew cab style. Aside from the cab style, there is plenty of options for engines. There is a 4.0-liter V6 engine with a 261 horsepower, or 2.5-liter inline four-cylinder engine with 152 horsepower on the King cab body style. Think that’s it? The Frontier offers five trim styles and a Midnight Edition Package that contains a gloss black grille, 18-inch gloss black wheels, black mirrors and door handles, and black badging. The inside shows off with a rearview camera along with Bluetooth connectivity. The choice of leather or cloth seating is available with trims. Wondering when you can get your hands on the new 2019 Nissan Frontier? Visit your Nissan dealer in Palm Springs today to find out more! See our large selection of new and pre-owned 2019 models for sale nearby. We are looking forward to serving you and helping you find your new Nissan model.